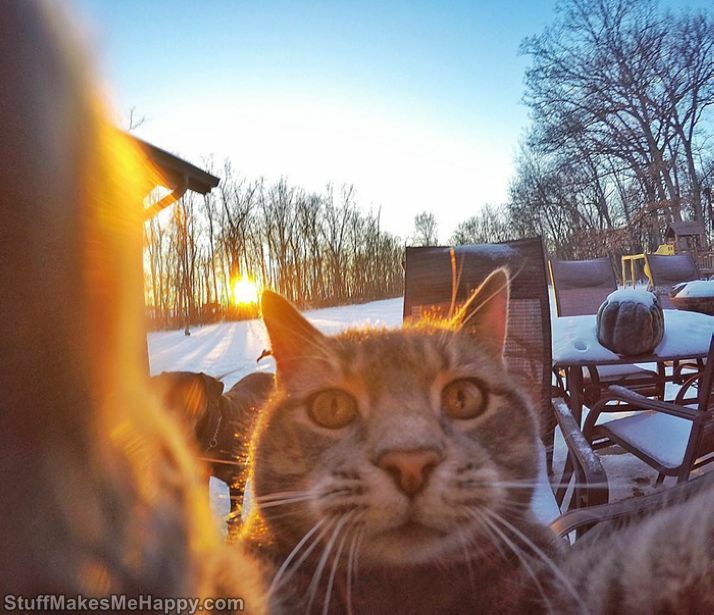 Manny's the selfie cat is a real Instagram star, more than 460 thousand people have signed up for his @yoremahm account. 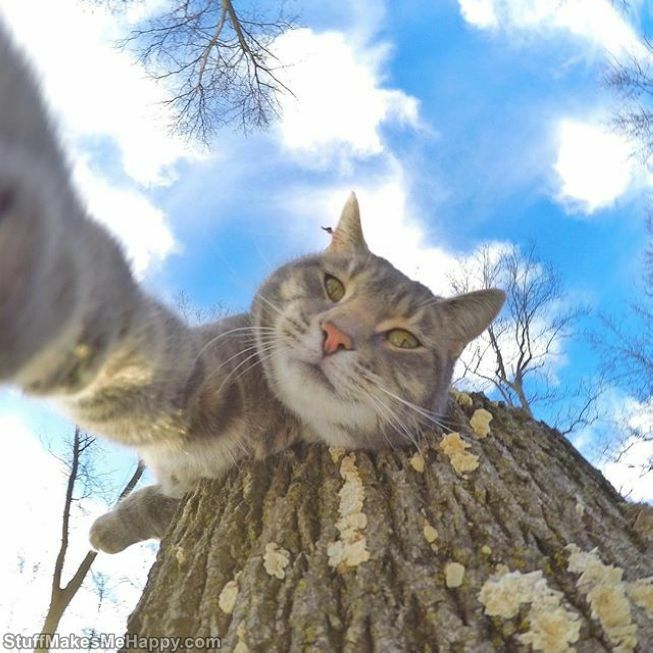 Manny loves to be photographed, especially taking selfies in interesting places his friends. 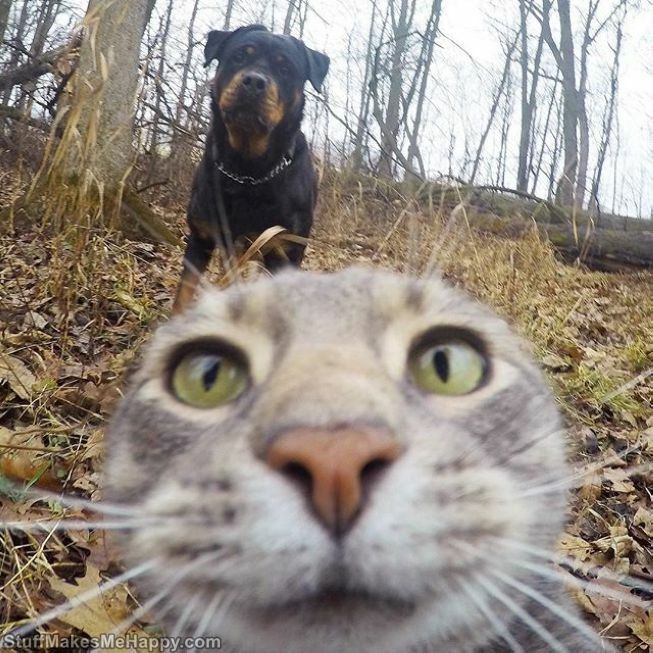 The first selfie cat happened by accident. 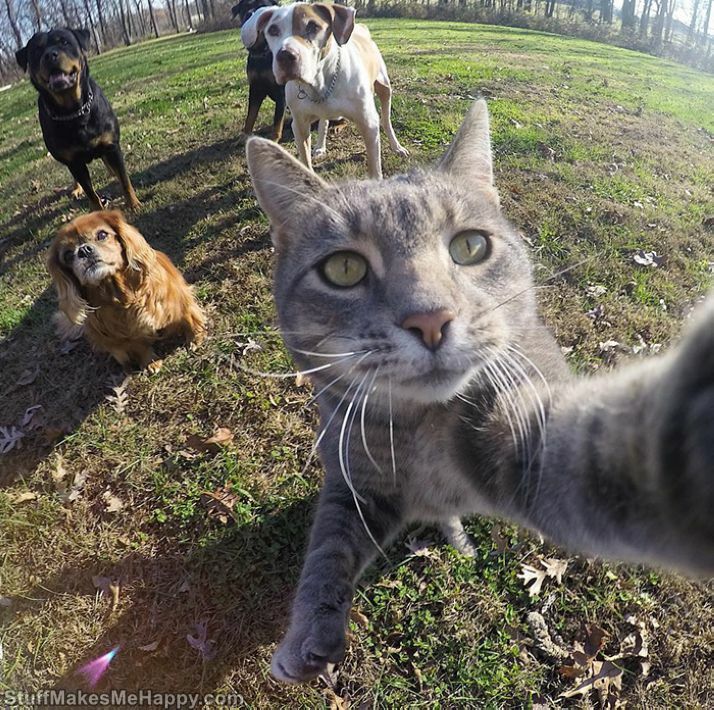 The owner was shooting on GoPro, and at some point, Manny touched his paw to the camera - and tradition went. 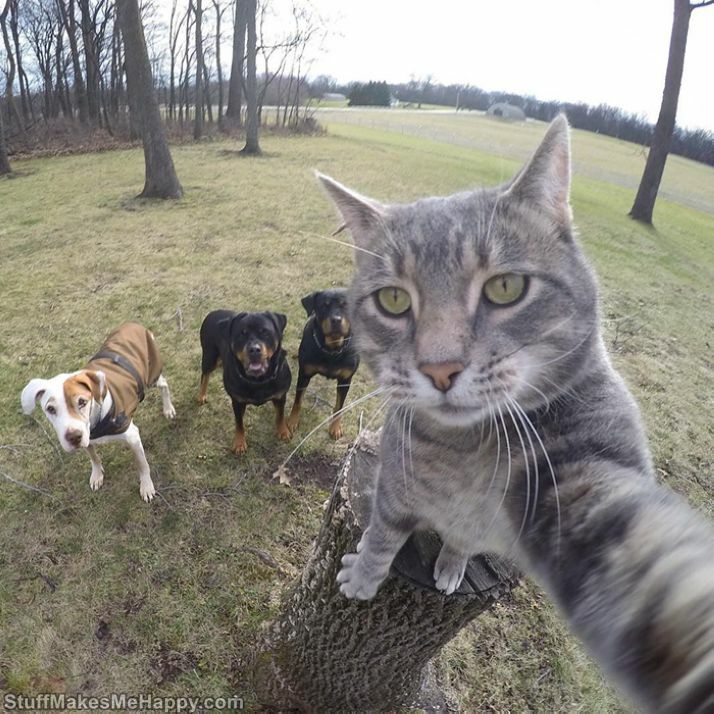 “Manny is just the boss of the dogs, he so confidently clings among them,” writes the owner of the cat. 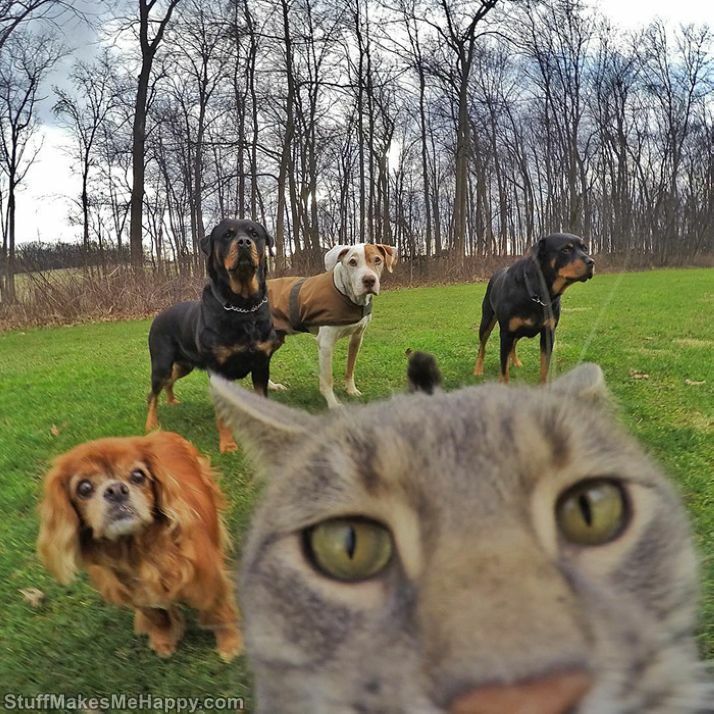 From the photos it really seems that Manny is the main one in this dangerous company. 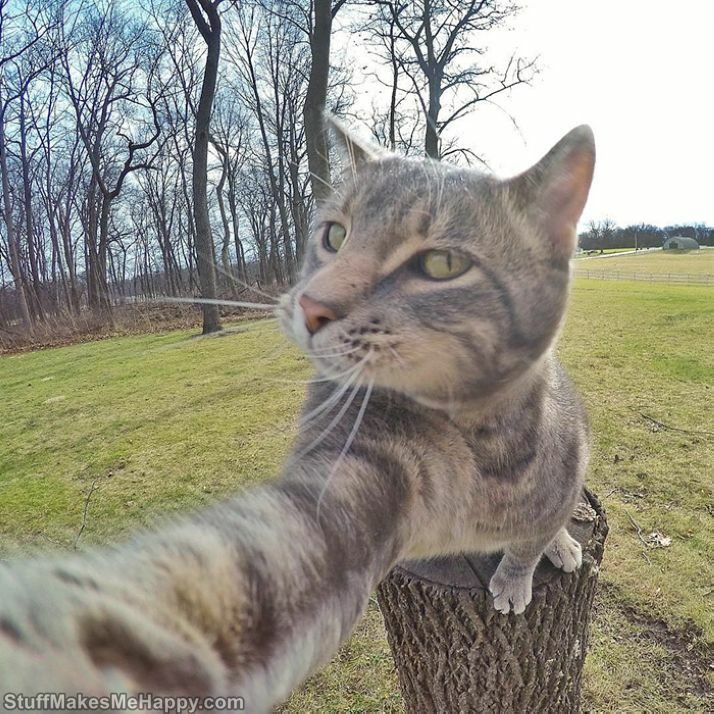 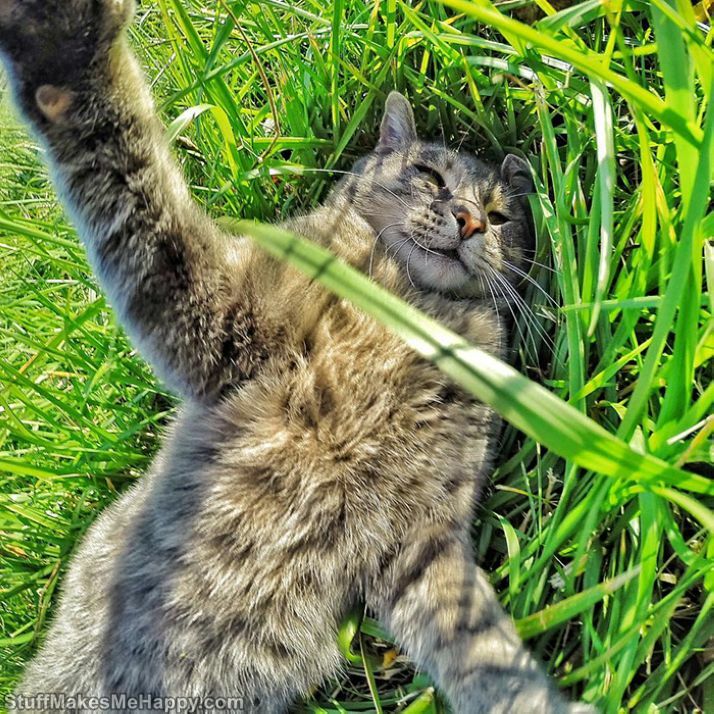 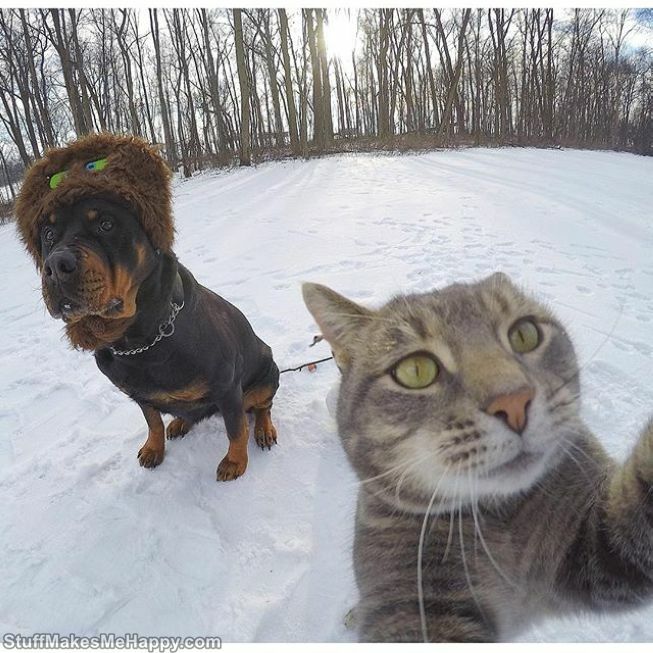 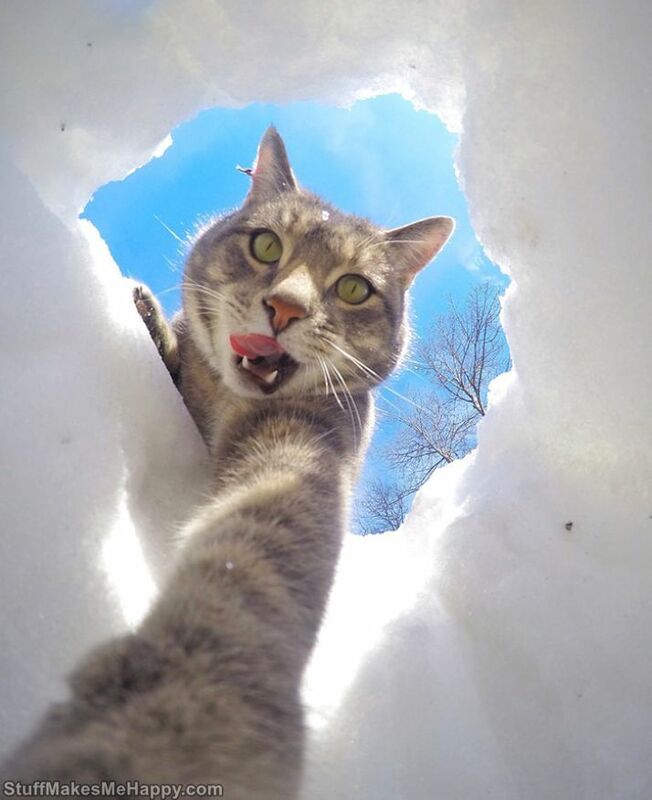 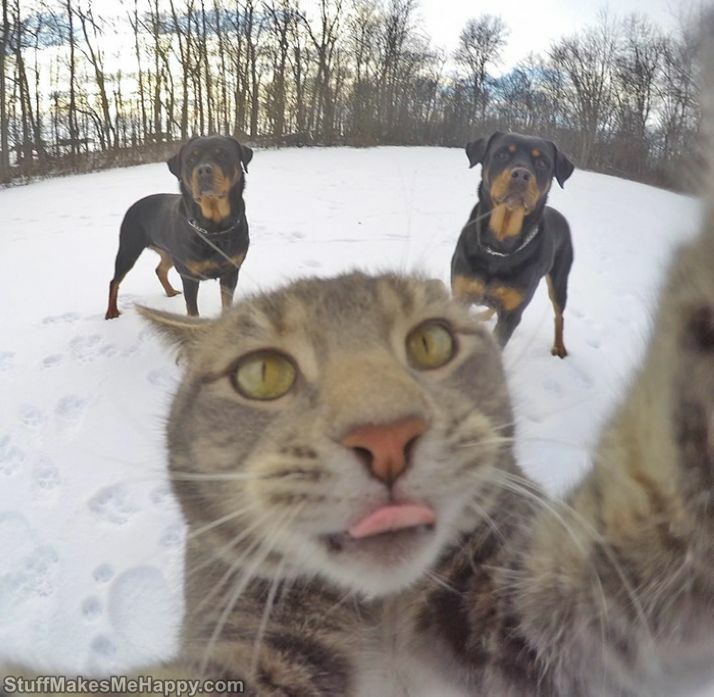 Checkout most adorable pictures of selfie cat "Manny" and make your day fabulous.